The retail sector has undergone a major transformation when it comes to working hours over recent years since the introduction of 24 hour shopping and the opening of many stores on Sundays. However, it’s impossible to make sweeping generalisations here as 24 hour stores still represent only a small proportion of the number of stores in total which are open around the clock and not all stores open on Sundays. There are many people who love working in retail because of the flexibility it gives them when it comes to their working hours. However, this is mainly the case when it comes to those who work on the shop floor for the most part. Although, shop floor workers can find full-time positions, it has to be said that the vast majority of them only work part-time but this suits many people, especially where the retail store offers flexibility. This is crucial for the likes of parents who can only work during school hours after they’ve dropped their children off at school and who also need to leave work before school finishes in order to pick their children up. The working hours are also attractive for the likes of younger people who may still be at school themselves or if they’re students looking to obtain an income whilst at university as the nature of the retail sector allows them to work during evenings and at weekends which is when they have more availability. 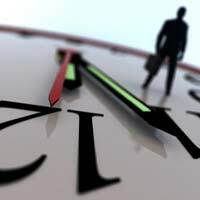 However, it must also be pointed out that the likes of evening shifts and working at weekends, particularly on Sundays, doesn’t suit everybody and some people have problems obtaining a work-life balance as a result of working evenings and weekends, especially if they have a partner who works Monday to Friday, 9 to 5. Also, if they have children and are asked to work evenings and weekends, it can also be very difficult to find quality time to share with their children. Therefore, the trend towards the 24 hour, 7 days a week consumer society presents a double-edged sword in that workers opinions are often divided. For some, they welcome the flexibility it offers them (which might include the option of working overtime) whilst for others, they’d prefer to work fixed daytime hours on weekdays. Is It Possible To Find A 9-5 Position In Retail? In head office roles and other positions away from the shop floor, for example, there is a lot more scope for people to enjoy a career in retail which is more akin to the general office norm of 9-5, Monday to Friday. What is important to remember here, however, is that there may be occasions where you’re asked to work later than usual if something important needs to be done. For example, if there’s a rush within a finance department to prepare end of the financial year tax figures or a new product launch is nearing its deadline and there are still issues to finalise in the marketing department. Because most of these positions will be salary based as opposed to the shop floor where you’re likely to be paid by the hour, you might sometimes find that you can be working well into the evening or even having to take work home with you occasionally, in order to meet a specific target or deadline for no extra pay. The retail sector is well aware of the challenges the industry faces, especially when it comes to staff retention and turnover, particularly on the shop floor. Although, it continues to try to accommodate things like flexible working hours, working from home occasionally for office based retail positions, job sharing and staff who have young children to care for, there is still much more to be done if it wants to have a much broader appeal.